I’ve been absent for a while. There are a number of reasons. First, I was working on a few home projects. We had about 72 hours of power outage. 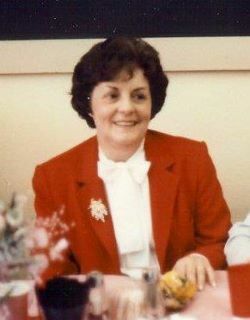 The biggest reason, however is that I lost my mother a week ago today. Jesus said to a grieving family, “I am the resurrection and the life. The one who believes in me will live, even though they die; and whoever lives by believing in me will never die. Do you believe this?” Based on my personal experience with Jesus, I believe it. In fact, it is my greatest hope today. My mother, baptized as a young girl, renewed her faith in her later years. In the last weeks of her life, she told me, “I have all the faith in the world in God”. I find that very comforting. Our job is much easier with my mother. Like all of us, she wasn’t perfect, but we could go on for hours about the good memories and positive influences she had on our lives. It starts with her as Mom. She was a wonderful mother. She was the June Cleaver type, always a lady, always supportive, always nurturing, always there. And usually with yummy treats for us. Yet, when the time came, she was the consumate professional outside the home. In every company, there is one person, usually a woman and usually with the word “administrator” or “secretary” in her title, who runs the joint. If you need any information or need to get anything done, this is the person you talk to. That was my Mom, especially in her key job as secretary to the president of SS Pierce, that venerable old food service supplier. 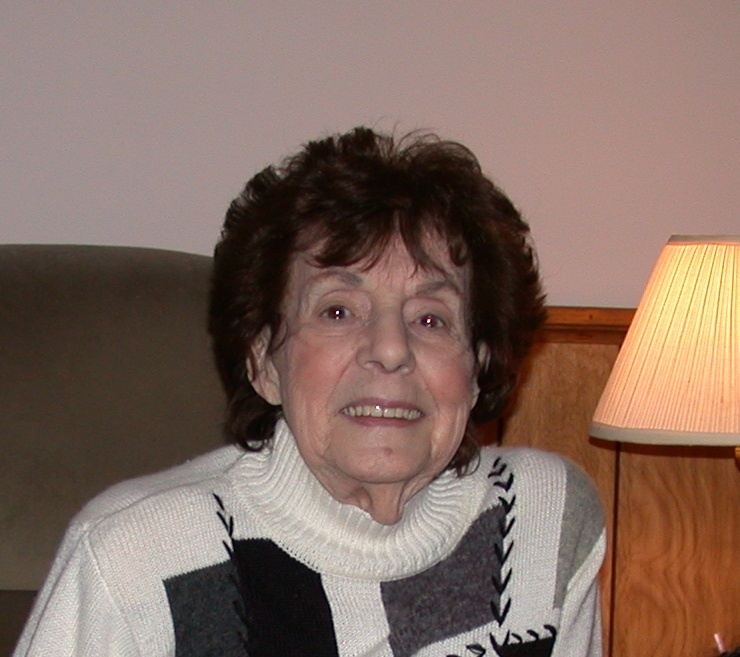 I talked to her old boss, Jack Leppert, to tell him about her passing. Although she hadn’t worked for him in 30 years or so, he was still shaken and saddened. He told me – as if I needed to be told – what a special lady she was. He depended on her totally. And she lived up to his trust. He told me that, besides himself, she was the only other person who could have run that company. I didn’t have the heart to tell him that she did. Some of us were the beneficiaries of her clout. She got many friends and family members jobs at SS Pierce. I was among them. She showed as much skill and dedication in her avocations are as she did in her two primary vocations, mother and executive secretary. For anyone who has seen a sample of her knitting, some of which is on display here today, you can see how accomplished she was. I always joked that if I gave her a roll of steel wool, she could have knit me a stove. She was also a fount of baked goods, a passion that my own daughter has inherited. Christmas wasn’t Christmas without several dozen of her ornate and delicious cookies. Then there were the wedding cakes. Anyone here have her make their wedding cake? She made dozens for all sorts of people. I was among those, too. She passed along many other subtle gifts. She had a beautiful singing voice. On many a Saturday morning, I would awaken to her singing along with Nat King Cole or Perry Como records playing on the massive phonograph console. I still adore Nat King Cole to this day. I wouldn’t be fully honest if I didn’t pass along some of the negatives in my mother’s character as well. First, for some reason, she fell short in one very specific culinary skill: butter pats. Go figure. Second, while she was a truly beautiful woman, she seemed unable to have a decent photo taken of her. When she was very young, her photos are stunning. Somewhere along the line she developed a sixth sense that allowed her to put on the most embarrassing facial expressions just as the shutter clicked. Finally, and seriously, I can’t help but think that she would still be with us if it hadn’t been for the cigarettes. newborns in Africa, she saw a calling that fit her perfectly and responded immediately. A better description was written far longer ago, about 2500 years or so. These are excerpts from the final chapter of the Bible’s Book of Proverbs. I read this to my mother on the occasion of her birthday several years ago. Amen. I love you, Mom. I don’t know if posting this is appropriate, but I don’t much care. My Mom deserves as much remembrance and tribute as possible. This entry was posted in General and tagged mom. Bookmark the permalink. THANK YOU for posting this! I know that collecting, writing and presenting your thoughts is a healthy way to simultaneously process, grieve and rejoice. And the rest of us get to know your Mom a little as well. Sorry for your loss, and glad for your memories and assurance.